Video is undoubtedly the chosen media of this generation. Everything we do now, we prefer to do with a screen. Whether it’s watching some of the endless offerings of YouTube, probably the defining invention of the twenty first century so far, or communicating with family via Skype, video is everywhere and only getting stronger. So it’s a shame that some of our social networks are dragging their heels when it comes to video. Instagram and Snapchat have introduced it, but their efforts are lackluster at best; fifteen second, cripplingly low quality offerings which feel like an afterthought. This is where Stre.am steps in. Developed by Infinite Takes, this video streaming app is a cut above it’s competitors and it’s out now for iOS and Android. Imagine a smartphone as a little window into endless worlds. Stre.am provides the gateway into these worlds. It allows users to stream and share video directly from their phone, or watch other people’s live streams on their timelines. The first thing you notice about the app is the quality of the video, which makes Instagram’s efforts look supremely second rate. It’s pin sharp definition with very little, if any, lag. Stre.am are aiming for the ultimate live experience here, and they’ve obviously put some serious time into their creation. If you’re capturing a particularly vivid moment, and want to make it more of a ‘memory’ than a ‘moment’, the app allows you to save videos to your camera roll as you take them. Other than that, there’s no storing of any kind; you either catch a stream live or you don’t. This gives the app a great energy, and Infinite Takes have been smart with their social network integration too; Stre.am has its own built in community, but also allows you to share your streams on to your chosen social network platform of choice. This way, you’re not tied down to one audience and can share with abandon, knowing your reaching as large or as specific a group as you want. The app also has a variation on Snapchat’s ‘stories’ section; you can save little fifteen second nuggets of video which are then available for twenty four hours in a section of your profile known as ‘reels’. 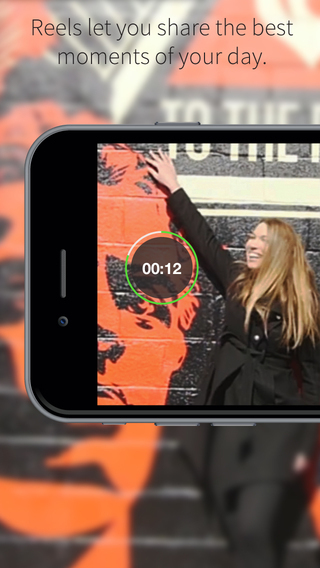 Stre.am is an exciting new addition to the live video app arena, providing a quality that will be tough to match for many of its competition. The endless opportunities it offers for engaging new perspectives on so many experiences should be enticing to many users. If you’re skeptical about this one, I encourage you to download and give it a try. It’s a lot more interesting than Facebook and proves it’s certainly a great time to own a smartphone. Start capturing moments at the App Store or Google Play for free today!